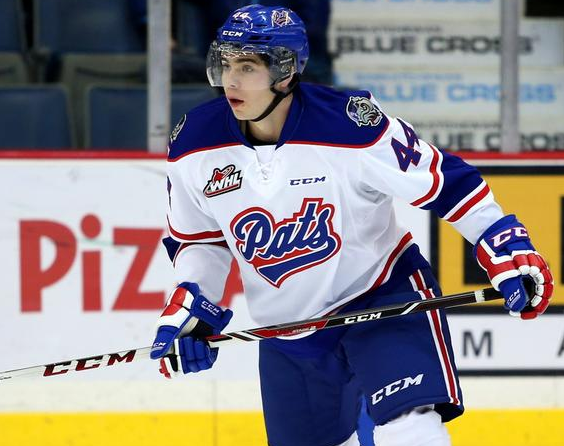 Defenceman Connor Hobbs is back on WHL ice after sitting out for almost three months waiting for a trade. Hobbs began the year as a member of the Medicine Hat Tigers but knew early in the season that it wasn't a fit for him so asked to be moved. That trade didn't happen until the days leading up to the January 10th WHL trade deadline when he was sent east to the Regina Pats. When Hobbs joined us on The Pipeline Show right before Christmas, he was still sitting by his phone waiting for the call. He'd temporarily joined the SJHL's Nipawin Hawks but his heart was in the WHL. We spoke about his reasons for wanting out of Medicine Hat and his concerns of what the layoff would mean to his draft stock. If you missed our 2015 Draft Spotlight segment with Hobbs on December 20th, we have it for you after the jump. Another forward of note from the USHL for the 2015 NHL Draft is Erik Foley of the Cedar Rapids Roughriders. The Massachusetts native is a long way from home right now but enjoying a fine season at the top of the USHL standings. Foley's year began in the Czech Republic representing his country at the scouting showcase that is the Ivan Hlinka Memorial tournament. His play there and in Cedar Rapids has earned him a top-60 ranking from NHL Central Scouting on their mid-term list. We were happy to have Foley on The Pipeline Show in early December where we got to know more of his personality and background. The well spoken Foley is headed to Providence College next season to join the Friars which is just one of the things we talked about. If you missed Foley's appearance on TPS, no worries, we have it for you after the jump. 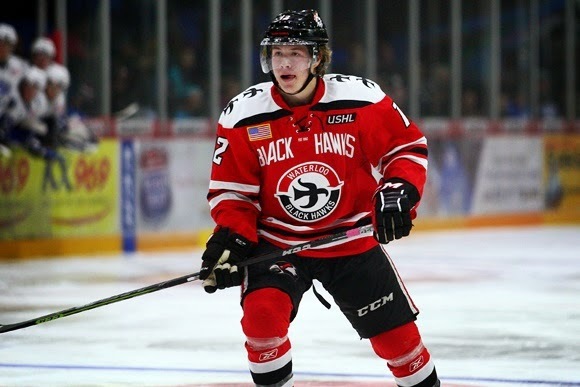 He helped USA capture another gold medal at the World Junior A Challenge and currently leads the Waterloo Black Hawks in scoring with 23 goals and 42 points through 32 games. If you're looking for a power forward with an offensive touch, don't look past Brock Boeser. Boeser, (pronounced Bess-er), is a Minnesota native in his first full season in the USHL. After playing 8 games with Sioux City last year, Boeser resurfaced with Waterloo this season and, despite the team's last place standing, the soon-to-be 18-year-old has impressed. We featured Boeser during our 2015 Draft Spotlight segment on December 13th, during the World Junior A Challenge. At that time we discussed the tournament, getting the chance to represent his country, his uncertain NCAA future, his WHL option and more. You can hear that interview after the jump. The second chapter in the 2015 draft blog from Drayton Valley Thunder defenceman Luke Orysiuk is now available. The Edmonton product sent us the first chapter of his draft series in late November, you can read that here in case you missed it the first time around. Since then, Orysiuk has only appeared in 9 AJHL games due to injury a factor in why he was left off of NHL Central Scouting's Mid-Term ranking. After the jump, the next installment of the draft blog from Luke Orysiuk. Another 2015 Draft eligible player has agreed to blog with us this year and it's out privilege to present to you his first entry. Joining Red Deer Rebel's Grayson Pawlenchuk, Matteo Gennaro of the Prince Albert Raiders and Luke Orysiuk from the AJHL's Drayton Valley Thunder is defenceman Matt Spencer. 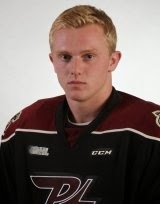 The 6'2, 200 lb blueliner plays for the OHL's Peterborough Petes. After the jump, the first chapter in the draft season blog written by Matt Spencer.